Dummies Guide to Guru Purnima. I thought twice before giving the above title to this essay; putting the word ‘dummies’ along with ‘Guru Purnima’ which is linked with knowledge and learning, makes it an oxymoron of sorts. But than we all need to be guided, and hence I call this essay ‘Dummies Guide to Guru Purnima’. Bhagvad says “You have got every right to do your sins, but you have got also a responsibility of coming out”. The essay is an effort in ‘coming out’. Guru Purnima is among the few ancient festivals celebrated across India. Now, the modern connotation of the term ‘festival’ is so clouded that it distances itself from the inherent meaning of the respective festival. Festival, this days equates with pomposity, over indulgence, wastefulness, consumerism etc. Apart from all that happened to our society over the last 500-800 years the worse that has happened is the loss of ‘mindfulness’. From being considered a vice, Indifference is now an accepted virtue. Considering this I would describe Guru Purnima as an event and not a festival. To understand any phenomena one needs to understand the context, one needs to evaluate what happens before that event and what happens after that event. Over the course of next few pages, we shall try and understand this event through lenses of science, history and spirituality. The first lesson of astronomy that we all know is that the earth’s axis of rotation is tilted. 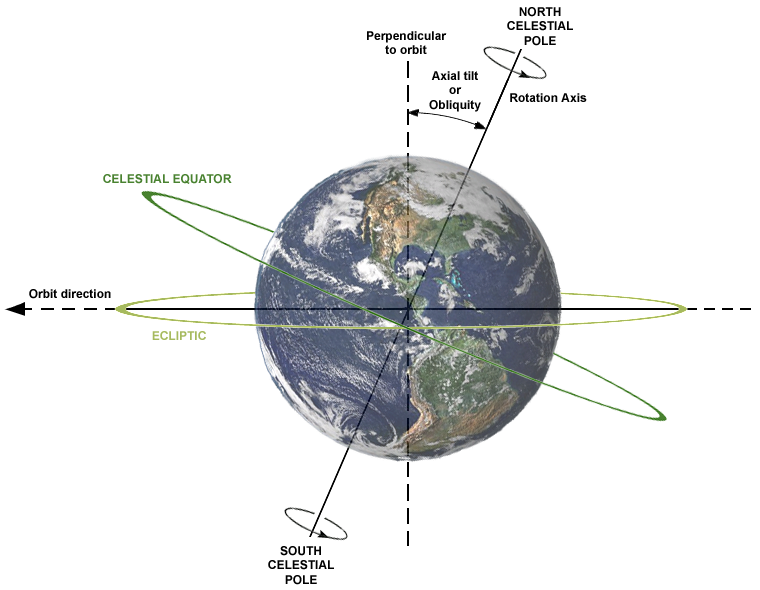 The seasons occur because the Earth’s axis of rotation is not perpendicular to its orbital plane. As a consequence, for half the year the Northern Hemisphere is inclined toward the Sun while for the other half year the Southern Hemisphere has this distinction. The two moments when the inclination of Earth’s rotational axis has maximum effect are the Solstices. Northern solstice is the moment when the sun reaches its highest position with reference to the North Pole. Similarly Southern Solstice is the moment when, the sun reaches its highest position with reference to the South pole. 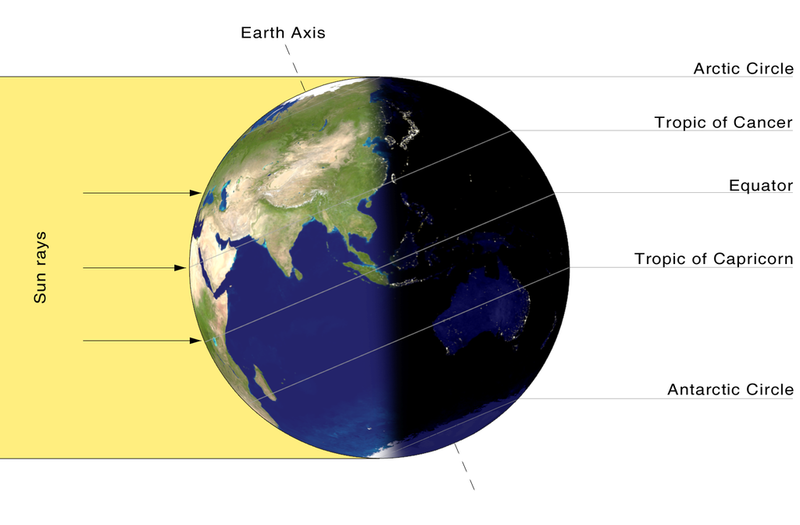 After establishing a Solstice, we need to know the phenomena of Equinox. The moment when the sun crosses the celestial equator is called an Equinox. This happens twice in a year, at one point the sun would seem to be heading northward and at second time the sun would seem to be heading southward. The two equinox and the two solstice have a strong bearing on the weather, climate and seasons on every point of earth. Northern solstice marks the end of summer at most places and southern solstice would be a winter period in the northern hemisphere. The northward equinox is when the spring occurs and southward equinox is when the autumn or fall occurs (in the northern hemisphere). What I am trying to establish is the equation between the sun and the planet we reside on changes distinctly at this four points, and we being on this planet our equation with the cosmos changes too, bringing about certain qualitative changes in human physiology. The below graphic will tell you when this four events occur during a year. 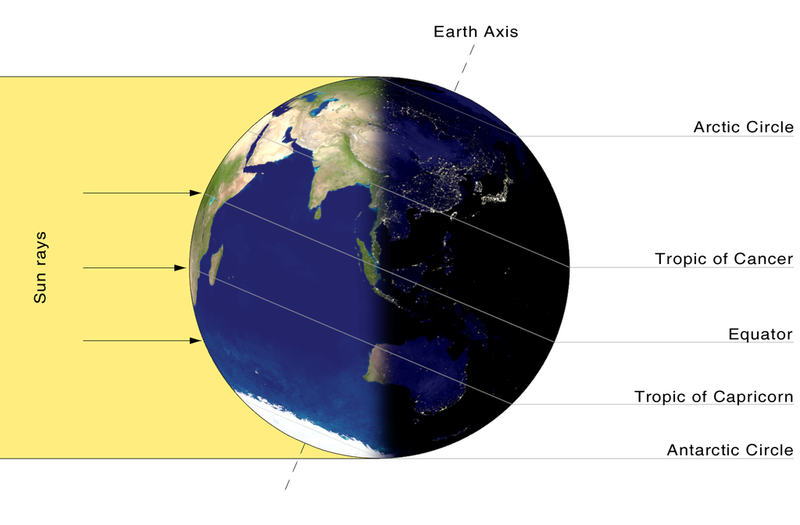 In hindi Solstice means ‘Ayana’ and Equinox means ‘vishuv’. Summer Solstice is the moment after which the sun appears to be moving southwards hence in India we know this phase as ‘Dakshinayan’. For six months starting 14th of July it is the Dakshinayan Phase. Similarly six months from 14th January, the Winter Solstice are known as ‘Uttarayan’ in India. (As per Tropical Zodiac the two solstice occur on 21st of June and 21st of December respectively). Same are also known as Kark Sankranti and Makar Sankranti respectively. The points when Sun enters the Cancer position and Capricorn position are the two Sankranti’s. Let me start by putting across some data to establish the science behind the existence of India’s traditional festivals. We have seen above that the relationship of earth and sun changes over the course of the formers revolution around the latter. Given this base most of our festivals are established, keeping in the mind the cosmic forces acting upon at that time. Agriculture is a simple example to understand this. Can seeds be sown out of its turn? Can land be ploughed at any time of the year? The answer to this, which we all know, is negative. In order to get a harvest ploughing and sowing has to happen at a particular time during the year, considering the seasons. Similarly Human being, who is a soul residing in the body made up of earthly elements can make most of the cosmic energy if certain things are done at certain time. It is a deep science. 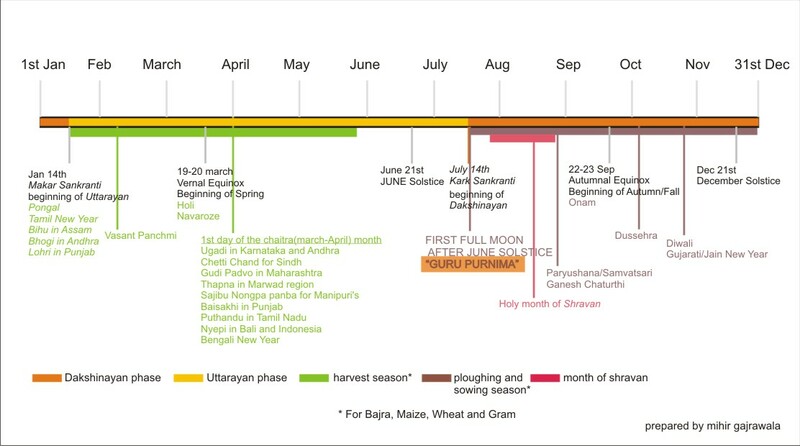 In the figure below I have attempted to show various festivals and its relationship with astronomic situations along with reference to agriculture. if we divide the year in two halves, we shall see a pattern in the various Festivals that are traditionally celebrated in certain period. Lets have a look at this graphic. If you really see closely, the festivals that fall in the Dakshinayan are more rooted in sadhana and tapasya (focused on discipline and frugality). Most of the occasions to fast come during this period. From a health perspective due to monsoons and also sun being away, the metabolism of human body is at its lower degree as compared to the Uttarayan phase. From Agriculture point of view this is the time to plough and sow, basically time to prepare. And in the phase of preparation one should be more focused and disciplined, hence there aren’t many celebration occasions during this period. So the festivals are in coherence with these realities. Now looking at the festivals that occur during the Uttarayan phase, they are more about celebration and sharing of joy. It is also the harvest period of the year, time to take yield. In modern terms also it is the end of Financial year, time to check your yield. Also the season of Spring, considered the most beautiful season occurs during this period. On the first day of Chaitra month one would find many festivals across cultures in the entire sub-continent. Geo-astronomically on this day, Sun is closest to earth, the following 21 days are supposed to be the hottest days of the year, time when earth recharges its batteries. So if you see each of the festival is in complete coherence with the cosmic arrangements. Any normal person celebrating these festivals in its true spirit is set to benefit. The event of Guru Purnima occurs on the first Full Moon day after the Summer Solstice. This day, more than any other day of the year, the receptivity of every being on the planet is higher. The conditions are conducive for the one who is willing to outgrow. That’s about the science part. Let’s try and go beyond. The above clearly establishes the strong scientific connect between the Hindu calendar and earths position in the cosmos. The traditional calendar takes into account the experience and impact happening on the human being due to difference of positions of celestial bodies around the earth. If we delve deeper we shall realize that the festivals are derivations so that a human body and mind can make the most of these celestial events for his or her well being and peace. The first Full Moon Day of the month of Ashadha (June-July) is known as Guru Purnima. This sacred day marks the very first transmission of the yogic sciences from Shiva – the Adiyogi or the First Yogi – to the Saptarishis, the seven celebrated sages. This momentous occasion took place on the banks of the lake Kantisarovar, which stands a few kilometers above the Kedarnath Temple in the Himalayas. Thus, the Adiyogi became the Adi Guru or the First Guru on this day. The Saptarishis carried this knowing offered by Adiyogi throughout the world. Even today, every spiritual process on the planet draws from the spine of knowing created by Adiyogi. It is said that the Saptarishis followed extreme ascetism and penance (tapasya) for 84 long years before the grace of Adiyogi fell upon them. The followers of Jain tenet believe the Adi yogi to be Adinath, the first Tirthankara or the ford-maker of current time epoch. His place of sadhana is known as Ashtapada, a region located in the Himalayas. Legends say that Adinath invented the science of agriculture and in his kingdom the very first experiment of farming took place, in the form of sugarcane crop. Even today the region of Hastinapur (Western UP) is known for Sugarcane cultivation. What does this piece of history tells us – it tells us the beginning of Knowing. It marks the moment on this planet when the instance of ‘transfer of knowledge’ took place for the first time. Today the beings on this planet have evolved and developed various tools of storage and dissemination of knowledge, and the world measures its progress in its ability to share, which is not limited to time and space. Thus more than any other ‘day’ that we celebrate, this day, this occasion of Guru Purnima should be celebrated. Now, if we go back to the advent of seasons we would come to know that this period, after the Summer Solstice (Kark Sankranti) is when the fields are ploughed. Farmers across geography, with minor time variations, would start into the process of readying their farmlands so that seeds can be sowed at the right time. Else there would be no harvest. Going by this same mechanics, the body along with its intellect, which is nothing but a piece of earth, has to be ploughed during this period. The six months until the winter solstice, are to be dedicated to ‘sadhana’ (disciplined and dedicated practice) in order to evolve out of one’s transgression and limitation. The day should be celebrated as an event to set goals, and prepare oneself for higher learning’s. The day is an opportunity whereby one is able to do the ‘preparations’ better due to the existent celestial positions of that day. There were times when holidays from work were worked around this available science; for reasons best known to each one of us, now we do not keep holidays on such important occasions and let the opportunity slip by. Imagine a farmer letting go the opportunity to plough and sow before the rains, would there be anything for him to harvest then?? If we look into various religious traditions, lot of festivals focusing on austerity and sadhana fall during this period. Hindus have their ‘Shravan’ month (July-augsut) for month long austerity. Jains all over maintain extreme austerity during the four months starting from this day. The festival of sacrifice ‘paryushana’ also falls during this period. We have looked into this point in detail above. In Sanskrit “Guru” means “dispeller of darkness”. A guru is the one who dispels the darkness of ignorance and leads the aspirants to the path of enlightenment. “If you are willing, you can transcend all your limitations and evolve to a higher realm” ~ an aspirant who chooses to do this sadhana would want to start of by showing his surrender and gratitude for the route, through which he can reach knowledge – that route is a Guru. This day of Guru Purnima is the day to do this. Thus, 1 – the appropriateness of the day to prepare oneself for learning and 2 – obeisance for the ‘guru’ , this two put together is the essence of the event called Guru Purnima. Having said all of the above, I never required this essay to believe in the above. A decade back, almost around the winter solstice, while I was going through an emotional turmoil, dejected and depressed by some occurrences around me, my teacher, my Guru said to me “Mihir, this are petty happenings. After a period in time, you will realize the insignificance of these events which you are considering the core of your identity. Believe me, you are made for higher achievements, and you should start moving ahead.” These words are the spine of my self-belief, and made me realize at a very young age, that if armed with belief, guided by a ‘guru’ and fuelled by willingness – even a lesser mortal like me can transform. Not that I have proven my worth to my teacher, but my belief in my potential to transform remains undeterred. Given this background – obeisance for the ‘guru’ come naturally to me, and this obeisance has further broken down my indifference, leading me to believe in the appropriateness of the day of Guru Purnima. This brings us to the point where one would ask me, “Ok, we got it, so what should we be doing on this day?” I would suggest, take some time from your schedule, and spend that time out in the nature. Take a walk, sit back in a park, watch the butterflies, listen to soothing music, and just relax. And if possible meditate while the full moon shines upon you. May we all be blessed by the grace of the Guru!